Amid an offseason spent wisely steering clear of his employer and lifting light weights with great effort, Kristaps Porzingis got to represent the nation of Latvia in EuroBasket 2017. He was far and away the most gifted player on the court at any given moment, and there were some very nice moments. Highlights aside, Porzingis logged 18 points, three rebounds, and four blocks, and a -12 plus/minus in his weakest showing of the weekend. 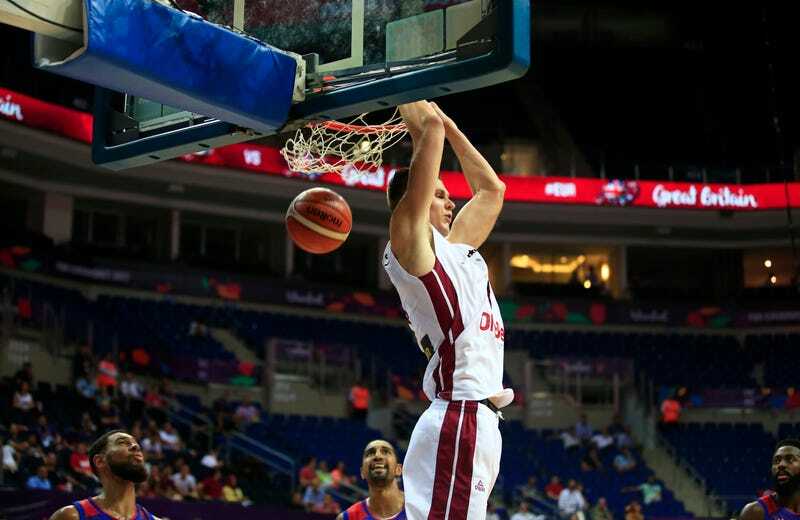 Everything in his arsenal came together in his win over Great Britain on Monday: 28 points, eight rebounds and two blocks while shooting 65 percent from the field. To revisit: Here’s a 7-foot-3 guy faking one way, driving, absorbing contact and finishing like Kyrie stretched out on the rack.